Katie McKerracher used to dance with the Lesley MacFarlane School of Dance in Hawick, until a Diffuse Pontine Glioma (rare brain tumour) tragically cut her life short at age 11. 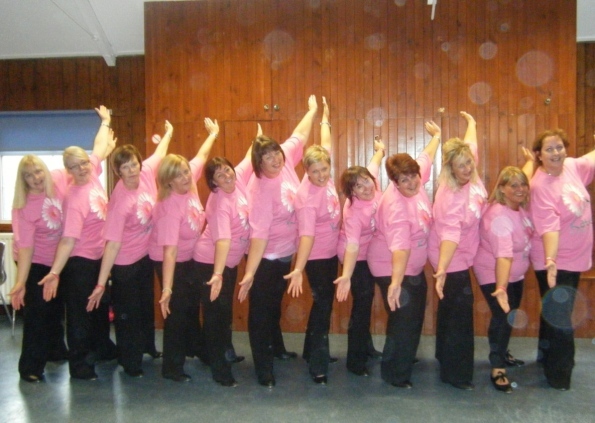 We are the mum’s of Katie’s dance class and are learning to tap dance so that we can put on a show as Tap Heavy during the Dancing Display on 14th September 2011. Tap heavy are – Ann McKerracher, Jackie Powolny, Wendy Douglas, Debbie Ferguson, Eileen Davies, Susan Forsyth, Marina Arnot, Pauline Renwick, Pamela Rayner, Lesley Fraser and Judith Wilson. We are going to raise funds for Katie’s Trust and are aiming to raise more than £3500 – Satander have offered to match the first £3500. We hope that you will support us in our efforts. Thanks.